Well hello to you my reader chums! 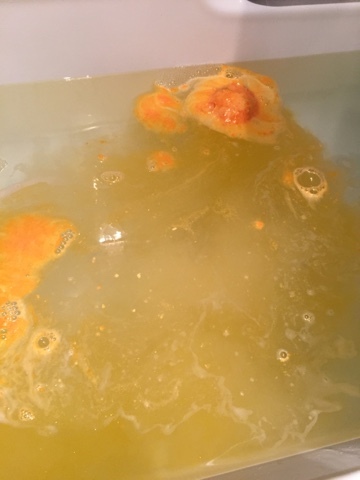 With the cold winter chills amongst us, there's nothing better than coming home from work and indulging in a warm, comforting scented Lush bath to unwind. The one I chose the other day was the 'Yoga' bomb', a bath treat designed for pure relaxation! I picked this up initially because I fell in love with its scent and the description, how it's meant to be quite calming, something I certainly need after a long day. 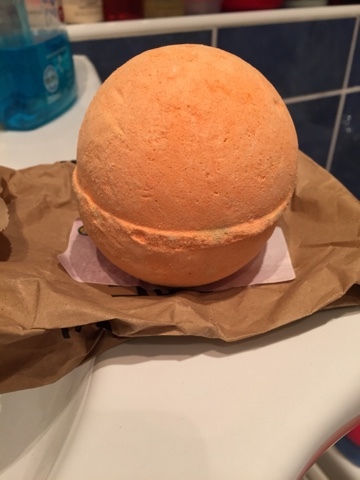 As you can see from the image it's an orange coloured bomb which I must admit smells heavenly ( like all Lush products really). The scent is rather sweet, similar to parma violets with a slight citrusy smell too, yet overall not too overpowering. 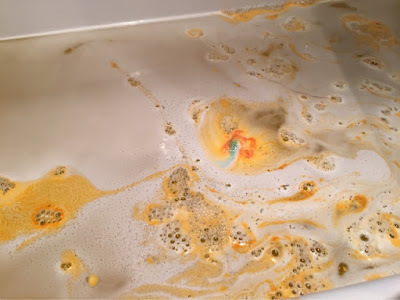 Once dropped in, the bomb dissolves, oozing out a gorgeous, warm orange/ golden colour with flecks of glitter running through. 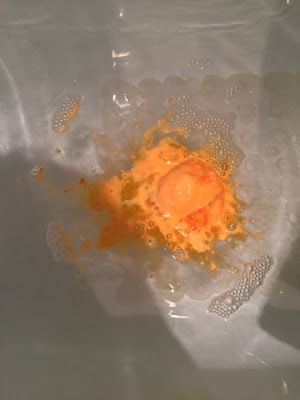 It looked a lot like my absolute favourite bomb, Dragon's Egg which I would say hold a stronger, citrusy scent compared to the subtleness of this bomb. After the majority has dispersed, slight specks of blue float through from the centre of the bomb, leaving an overall creamy, bright bath. I loved the finished look of this bath because for one it was incredibly welcoming to get into and also the blend of colours truly reminded me of summer time! After soaking in this beautifully scented bath, your skin feels like an absolute dream, completely moisturised and covered in glitter of course! Not only does it feel wonderful, the subtle smell is best to unwind with as it's a really calming scent. I have to admit I spent an extra long time when using this bomb as it made me feel so at ease. I will definitely have to pick up some more of these beauties in the future for evenings when I really need to escape from everything, enjoying some me time. I hope you enjoyed this swift review. 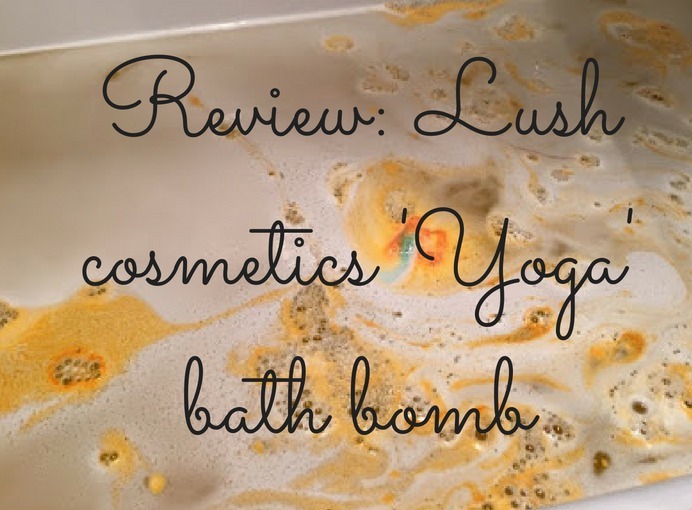 Have you tried the 'Yoga' bomb? What are your other Lush favourites? I'm not a fan of the colour it makes in your bath but it sounds lovely haha! Omg I just bought this today! 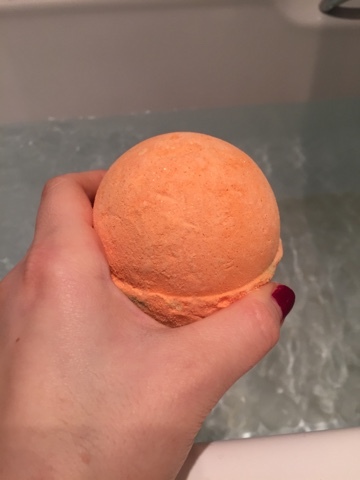 I saw it on Lush's website and had to buy it!